Losing a tooth leads to the development of more dental problems. That little hole left in your mouth screams trouble when left unattended. Your chewing capacity is affected, eating is difficult, your remaining teeth shift out of position, your jaw is disturbed, and so the list goes on. At Warner Lakes Dental, you don’t have to worry about these. With high-quality dental implants at Warner Lakes Dental, your teeth’s normal functions are back! Your jaw will be evaluated and treated to prepare for the dental implants. After which, your dentist will insert the metal posts in to your jawbone. A period of several months is necessary to allow the implants to fuse with your own bone tissue. This is called “Osseo-integration” and creates a sturdy foundation for your replacement tooth. Once the implants are fully infused, the replacement tooth is attached. The dental crown is secured onto the implants and is cemented into place. Restore biting and chewing capacity. Stop remaining teeth from shifting out of position. Durable and last a long time with proper dental care. You don’t need to suffer because of a missing tooth. 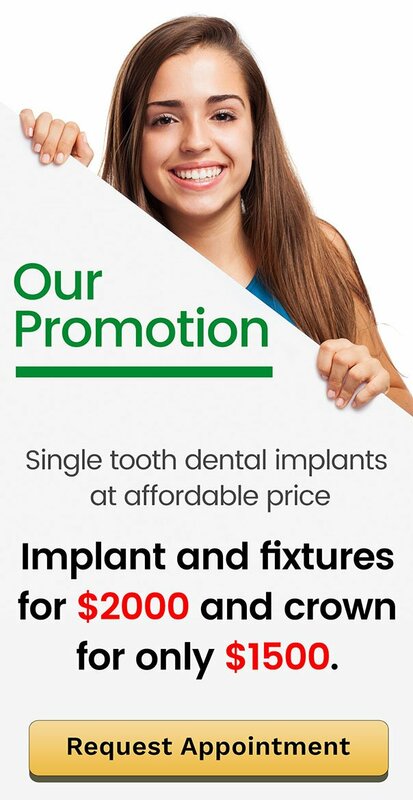 At Warner Lakes Dental, your trusted family dental clinic in Warner provides premium quality dental implants for your needs. We use state of the art equipment in dentistry to make sure that you get the perfect dental implants. Restore your smile today at Warner Lakes Dental.